Hi everyone! I’ve a lot on my plate these days so forgive my infrequent posts. Between concerts, competitions (small, local, soon and big, in Italy and later) and actual work for money, there’s a lot going on! Well, no, not right now, but there will be. Mostly it would be fine if I wasn’t doing competitions abroad, but I am! Anyway, I have for you today a blouse I finished before Christmas. I wore it once but the cuffs were far too tight and narrow, so it sat in my mending pile until January. It’s the Carme blouse by Pauline Alice patterns. She’s sort of the Spanish equivalent of Deer and Doe. I bought the Alameda dress pattern as well, as I have a wonderful check will that would look fabulous with those bias panels. I digress! 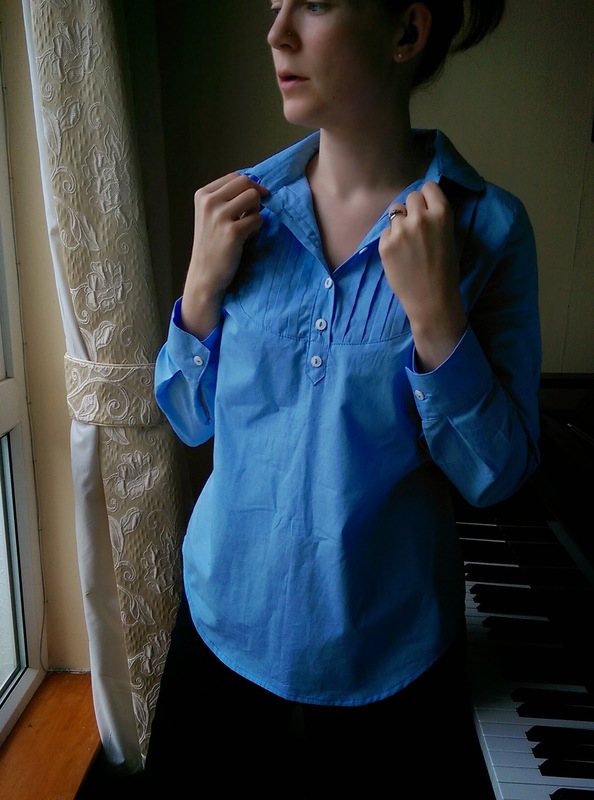 I used a plain polycotton that has been sitting in my stash for ages – I needed a blue blouse and this wasn’t so precious that I wouldn’t mind if it didn’t work out perfectly. I didn’t have quite enough for the sleeves and that meant that when I put on the little cuffs, they were finishing higher up my arms than intended and so were too tight. What I did was replace them with a pair of cuffs from another blouse. I also left out the gathers and just did a normal pleat instead. As for the body, I didn’t cut a straight size as it’s kind of oversize – I cut my proper size for the top, tapered into the smallest size at the waist and then a size bigger at the hips. It looks like an extreme curve but when on is just fine. You can see that there’s still plenty of room in the body. 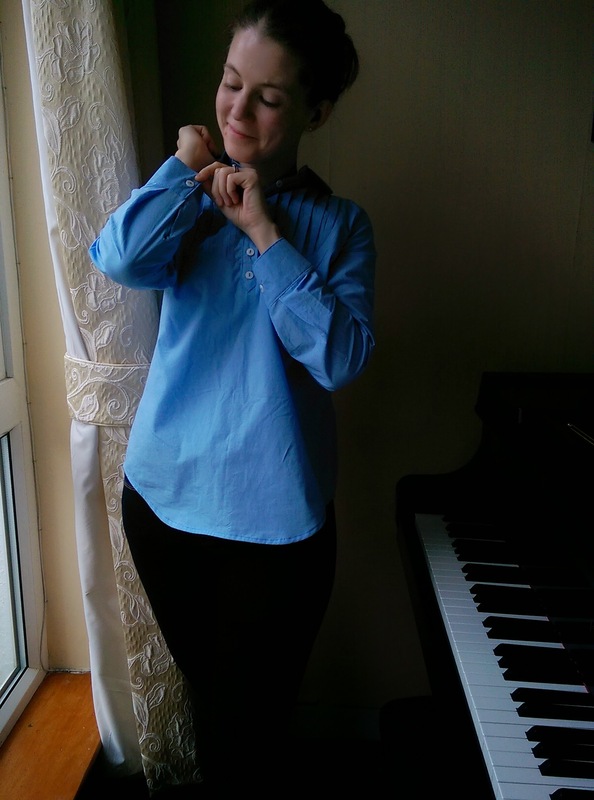 You might spy, as well, that I have a collar on my blouse when the pattern has none. 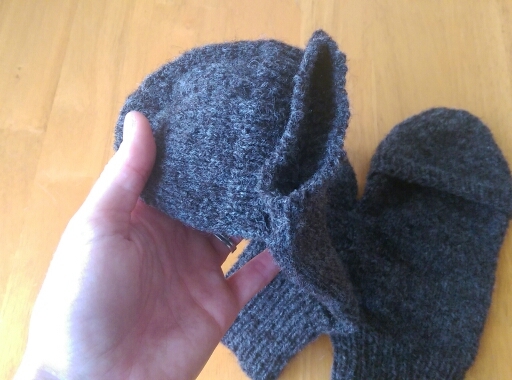 The pattern has the important bit – a collar stand – so I just popped a collar from another pattern into it. The placket and bib were really straight forward and well explained in the instructions. It’s a nice pattern, with lots of options for variety, and it goes well over leggings or jeans. In progress, a sneak peek and a new shop! 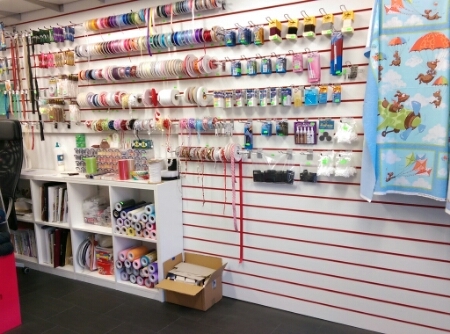 The shop is called Be Creative – Be Unique. The yarn you see pictured is a good mix of cheap’n’cheerful acrylics and some much nicer Bergere de France yarns. 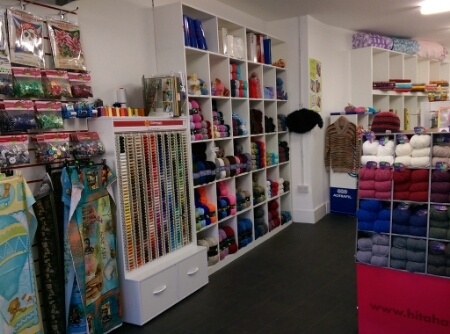 They have a good range of crochet cottons and weights from sock yarns up to pretty chunky. Basically, if you’re not looking for something extremely specific, you’ll find something to scratch your itch! 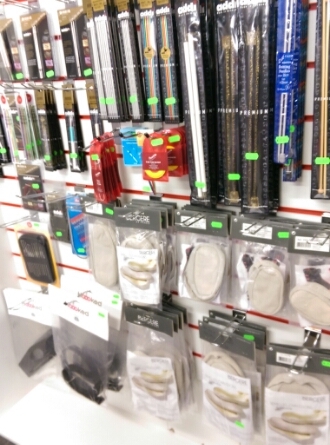 They have addi needles and hooks, as well as bag handles and those awesome little leather soles that you can knit socks on to. Hmm, what else? 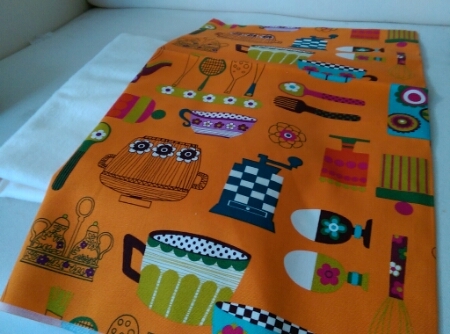 Oh yeah, they sell quilting fabrics and some cotton poplins, too! (There’s a lot more than pictured). And if course there are ribbons, trims, needles and whatnots. I have a deep desire for new socks and incredibly, have nothing in the stash. What perfect excuse to try out a new kind of sock yarn! I look forward to reporting. I couldn’t resist this fabulous vintage Japanese print! I got some cream flannel to back it with and I plan on making some kitchen cloths. Look at the eggs! In other news, I just cast on a Seven Sisters Cowl in Malabrigo Rios. It’s to match a hat I just finished so I hope to show you the set soon. And speaking of sets, I started this shawl over Christmas to match a dress I’m making! The dress is a lighter version of the same shade and I’m excited to finish it. 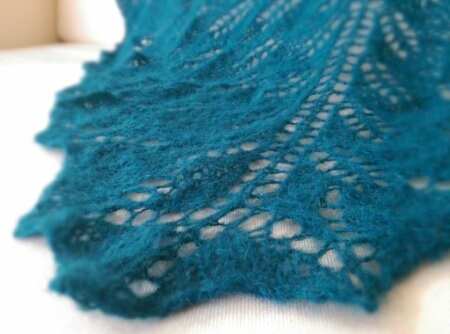 The shawl is made from the new Fyberspates ‘Cumulus’ alpaca mohair so it’s very snug and warm. I’ll write more about it when I post the outfit. I hope you’re all staying snug these days, or at the very least, crafting your way towards that state! Many happy returns, dear readers, I wish you all a fruitful 2015. I think for most of us it is fair to say that any year, in retrospect, was a mixed bag. I feel like I really progressed in my sewing; I found my knitting mojo again; I travelled loads. I made it to my third year teaching full time and still cycle most places. I had alot of good concerts, one shaky and one fantastic; I played out of my skin in two different competitions, came third in both and didn’t give a damn. I’ve just been looking back through this last year’s makes, looking for my favourites, but I love and wear them all! I made tonnes of separates over the last two years so I’m naming 2015 the Year of the Dress! Dresses make things very easy. 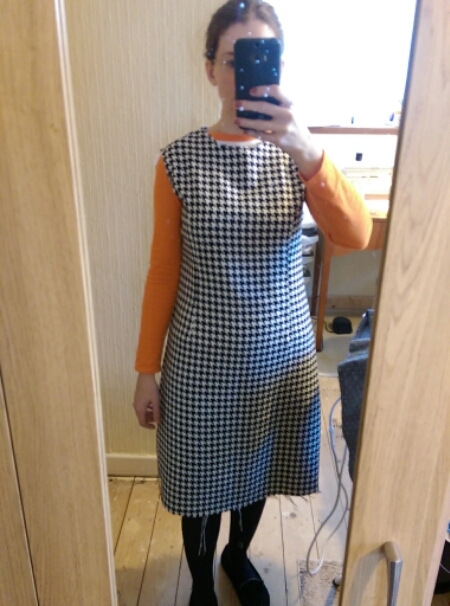 Other than the few wool shifts that I made (quite some time ago now), I don’t really have any simple day dresses. Everyone’s situation and wardrobe needs is different but maybe you feel the same way… I put together some inspiration for you! As mentioned here, I searched long and hard for a good princess panel dress. 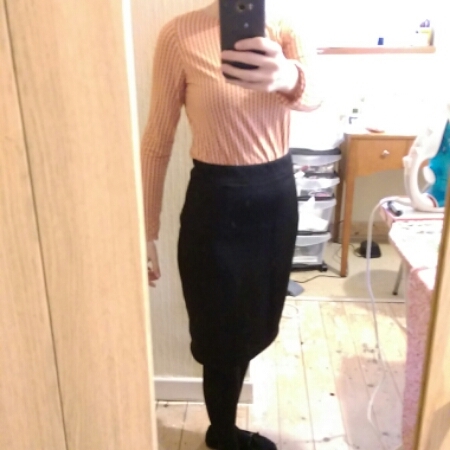 I ended up going with New Look 6124, but other options I found along the way include the Aydan dress by Named, which has sleeves and the Attaché dress by Lisette (Simplicity 1666 – I made both the top and the dress version and found the dress just too flared to really want to make again). But what if princess panels are too busy for you? You just want something simple, maybe to show off a really nice fabric? I found this a while ago – New Look 6302. I really like the little jacket that goes with this. 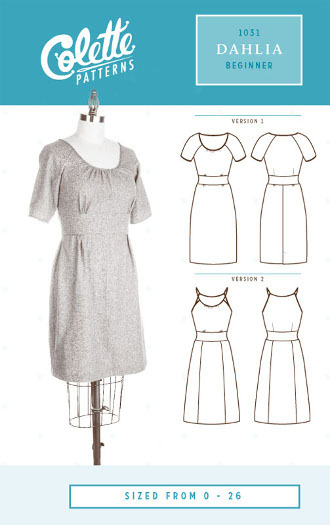 The only downside to this pattern is that it’s not lined, but if you’ve never sewn a dress, this is a really straight forward sort of pattern to start with. I like this Burda pattern for similar reasons. It’s a petite pattern so measurements such as armhole depth, torso depth and so on, are more in proportion with a petite height. I really like how you have the option to make only the skirt, and the dress has sleeves. The main reason I haven’t tried this one out yet is because I always worry that this sort of style, with the long sleeves, would be just overpowering. 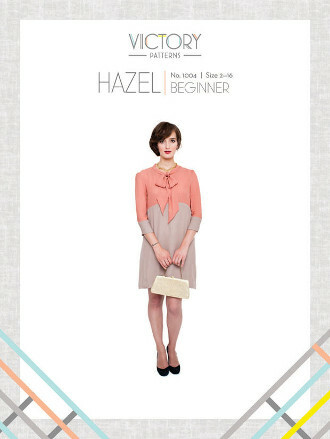 Speaking of sleeves, I have always loved the Hazel dress by Victory Patterns. The high collar and bow mean that you can still have attractive details if you leave off the sleeves. I like the colourblock option, too, though I would worry about finding complementary fabrics too much to actually make this up! Sticking with bows, another that I love (and have and am dying to make up!) 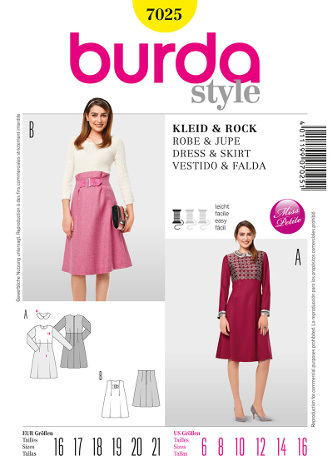 is the La Sylphide blouse and dress by Papercut Patterns. This is a deceptive pattern. For a start, I loathe the way all of the Papercut patterns are styled. I think maybe they’re going for a gritty, cutting-edge sort of look but they all just look bedraggled to me?! It’s a real shame because when their last collection came out, I totally discounted it because of that. I have since grown to really like many of their patterns, though have yet to make one up. La Sylphide is good value for money because you can make a blouse with a peplum, a full dress or just the skirt part of the dress. I really like all three options – the blouse would be lovely with a little pencil skirt, and the skirt is perfect for summer. 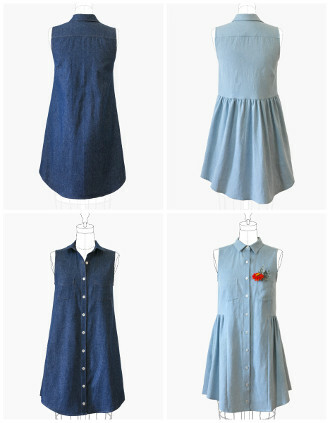 Another lovely, more casual option is Colette’s most recent offering, the Dahlia dress. Like all of their patterns, it is really pretty but there seem to be some fitting issues! I’ve read a good few reviews that say that the neckline is a bit strange and there’s a problem when lifting your arms in any way. Luckily for us, there’s a sleeveless option and I think this version would be lovely for summer. Speaking of summer, a super hit last summer was Grainline Studio’s Alder. At first I was a little non-plussed at its release, as it’s quite similar to the Archer shirt. But I do like the ruffle skirt option, I think it’s so quirky and fun! We don’t get much weather for sleeveless dresses, even in the summer, but I think this would be nice with a little cropped cardigan, don’t you think? Keeping with the shirtdress theme, I can’t leave out Named’s take on it from their last collection, the Wenona. 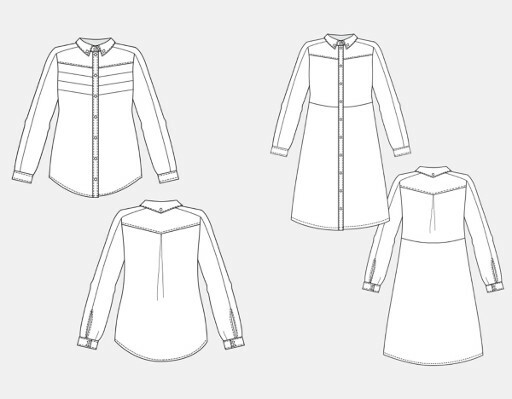 It’s one of the few shirtdress patterns I’ve seen out there that actually has the option for just the shirt. You’d think it would be kind of an obvious thing to include, right?! I love this pattern. I love the pleating option, and I lovelovelove all the possibilities opened up with the panelling, especially down the sleeve. You could keep it simple but do lots of coloured topstitching to highlight it. Or, you could use up some fabulous precious scraps and really show them off. I think I’m going to need to make one of these next Autumn. While I’m on the topic of the Named patterns, you should really just check out all of their dresses here. They really offer something a little bit different. Having made quite a few of their patterns now, I can unreservedly recommend them; their fit and drafting is the best that I have found amongst independent designers. Now, I know it’s more of a tunic than a dress, but there’s nothing to stop you from making it a bit longer. Like all of Deer and Doe’s patterns, they fit just as they say they will and always have beautiful feminine touches. I love the fitted bodice and the small pleats in the skirt on this one. I think I will definitely be making another one of these! 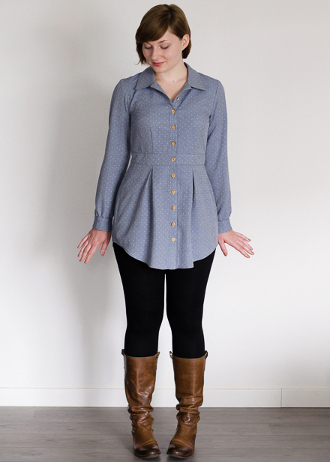 It is such a versatile top to pop on over leggings or skinny jeans. I hope that has whetted your appetite and that you will join me in sewing up a few! A forgotten FO and nearly FO! I realised after publishing my last post that I had, in fact, never shared with you my new kit bag! I sometimes have a piano lesson on a Thursday evening in Rathmines. One day I was early so I decided to avail of the opportunity and pay a visit to Sew. 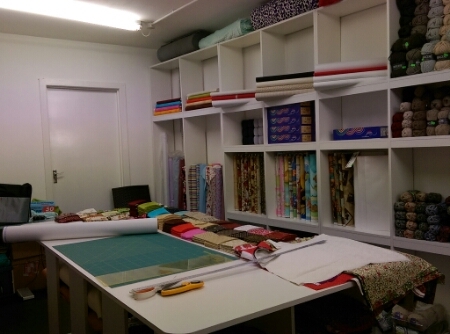 It was my first time visiting so I wasn’t expecting what lay in store – a wonderful little nook bursting with fabric, notions, ideas and inspiration! They have a classroom, too, where they teach a full range of classes. 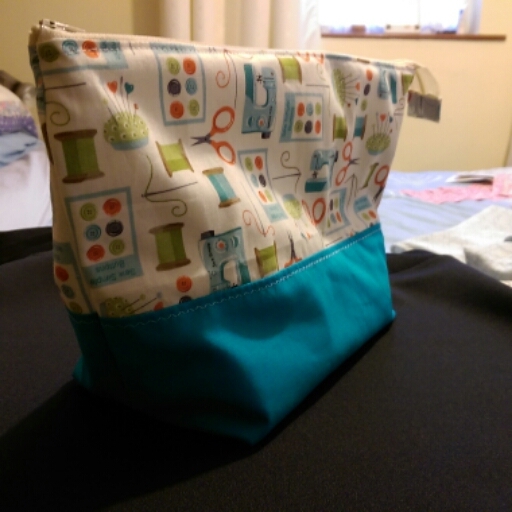 I fell in love with the sewing-themed fabric and bought a fat quarter and a matching solid to make this bag. I used the Open Wide Zipper Pouch tutorial by Noodlehead. It’s excellent! I wanted a bag big enough to tote a fairly substantial project, such as a shawl or a sleeve, and it fits the bill perfectly. Another FO I forgot to show you is a very simple black skirt. As you can see, I had to brighten the photo up considerably but you get the idea! I used a black scuba fabric from Michael H fabric basement (about €8 I think) and I have quite a bit left. The pattern I used was the Shadi skirt from the recent Named collection. I tapered between sizes 38-40 I think, because it’s very close fitting. I think it was originally designed as a type of slip. I have been wearing the heck out it and I think I’m going to add at least one more pencil skirt to my wardrobe – you can wear them with anything and you immediately look dressed up. Lastly, I have for you my ‘nearly’ FO. I had to leave this to one side to work on something else that I hope to share with you very soon. On the same day I bought the black scuba above, I also bought some houndstooth wool check for a simple winter dress. There is a lot of dart detail so it turned out to be slower going than anticipated. I just tacked the sides together and threw it on to see if it fitted. 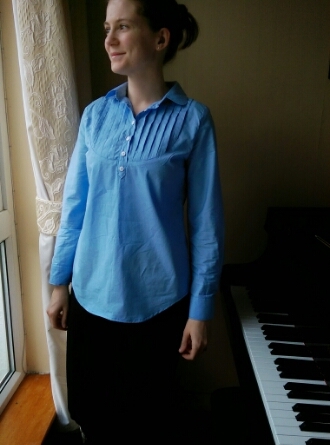 It was my first time sewing from a Japanese pattern book so I was unsure. 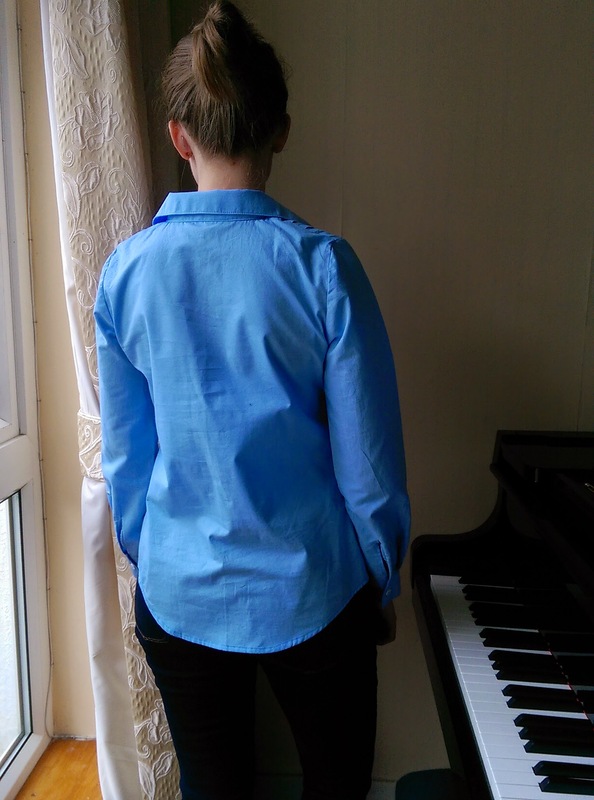 My doubts were misplaced, though, as the finished measurements were spot on, and the fit is perfect. I simply have to sew the sides so that the pattern matches and sew in the lining. Good tidings of comfort and joy, comfortandjoy! Hi folks! I hope everyone is having a cool Yule! My pre-Christmas period was typically busy with concerts and, as a result, I didn’t have much making to share here. I did, however, receive a request for mittens! Well, who am I to turn down such a request? 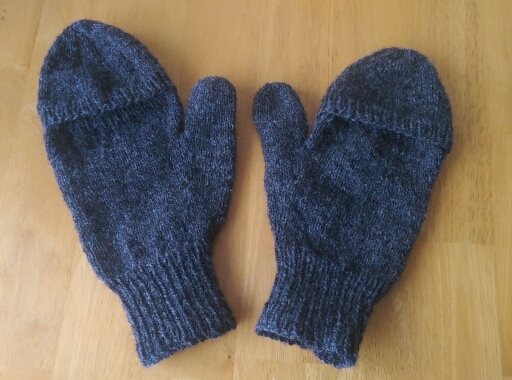 They’re for my dad and I made them using leftover Jamieson Shetland wool. They should be pretty warm and sturdy. I used a free pattern I found on Ravelry, the Podster gloves. 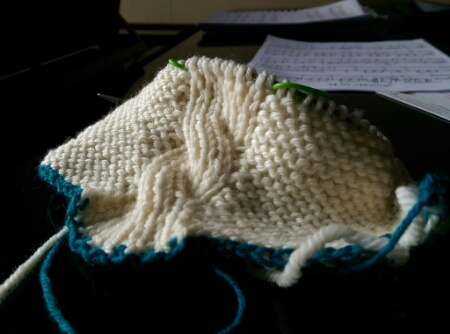 I used it as a base – after knitting one, I needed to make the wrist narrower and increase between the thumb and opening for more room. I left out the thumb opening. In fact, even though the pattern is written for about a 4-ply yarn, you could easily adapt it for any other weight. As you can see, you just work a normal fingerless mitt and then pick up for the flap. They went down pretty well! 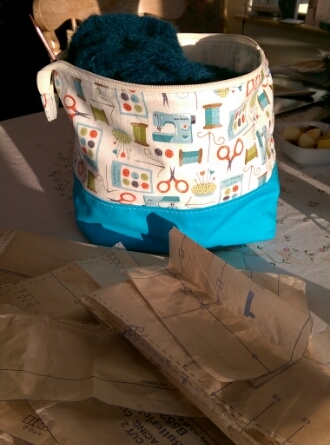 Cutting out some new sewing patterns and knitting out of my new knitting bag that I made at the beginning of the month. The last time I was in This is Knit, I fell foul to a new alpaca-silk yarn from Fyberspates called ‘Cumulus’. It’s a bit like Kid Silk Haze only fluffier and not so much of a sheen. It is a more substantial yarn and much more suited to garments and hard-core accessories. Kid Silk Haze is beautiful but much more delicate. 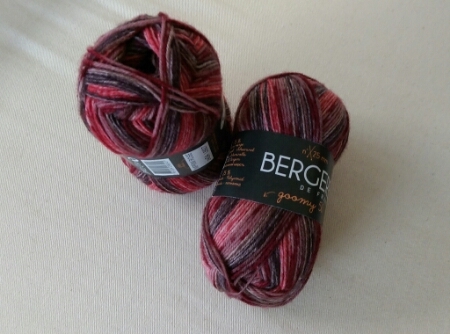 Anyway, I decided to get 3 balls – they’re about 150m each – and make a woolly shawl. I love the colour palette of this yarn line, with plenty of saturated colours as well as super-useful neutrals. In the end I went for a dark teal. 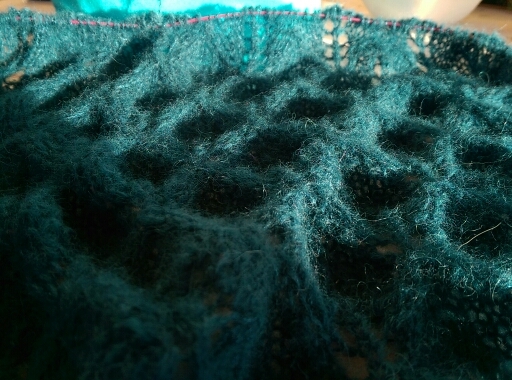 I’m about half a repeat away from the edging. The yarn is quite a saturated colour so some dye comes off on my hands. However, it washes off without soap so I’m confident that a good soak will be adequate when I finish. As for the sewing patterns I’ve been chopping up, they’re for my January plans. I have rather lot of winter skirts but not so many dresses. I have three heavy wool sheaths that are perfect for very cold, damp weather but nothing in between. I acquired two wool crepes – navy and dark pink – and a turquoise thick knit to make some simple dresses. I think a princess panel dress is very flattering but boy, did I ever have to search for a suitable pattern! The one on the left is what I went for in the end. See the orangey model on the right? It has a vent in the back but isn’t lined. That was the closest I could find. Ideally I would like instructions to line it but a quick Google found me plenty of tutorials, so I feel confident enough to give it a go. 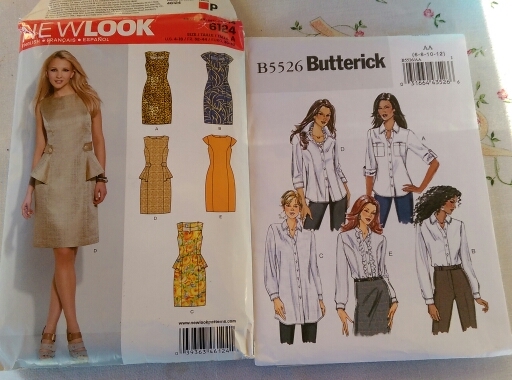 The blouse pattern on the right – phffff isn’t the cover art unflattering?! I would never have given this pattern a go if not for Lladybird‘s many reviews and high recommendation. I bided my time and pounced during one of their 99c sales. Did you know that these online sales are available to consumers outside the US? The same goes for Simplicity, Vogue, McCall’s etc. There is, unfortunately, a $15 shipping fee but that seems to be a fairly flat rate. So let’s pretend you buy four patterns, it works out to be about $20 in total and still far cheaper than buying them within Europe. It’s even better value if you order with a friend and order a good few to dilute the shipping. Just FYI! That’s all my news for now… As you can see, even when I’m busy, the wheels keep turning! It’s been a lovely holiday and I’m looking forward to the new year, whatever it may bring. I hope you all enjoy the dying days of 2014.